Miniature gardens can be charming, enchanting, and even therapeutic! I’m not talking about fairy gardens or even children’s gardens (although a miniature garden can be both). What I’m talking about here are small scale gardens…landscapes that are created using solid design principles. But those gardens are within square inches instead of feet. I brought on Janit Calvo of Two Green Thumbs to share insight into this fun hobby. 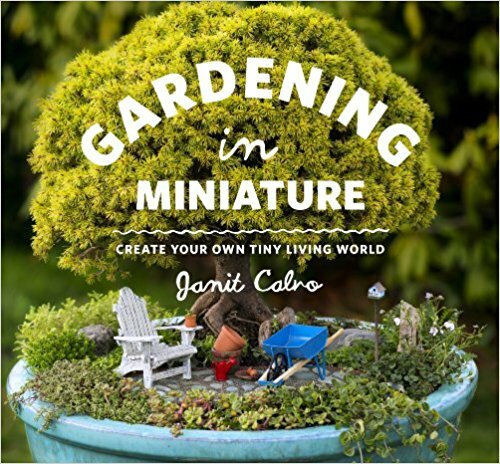 Janit Calvo is the world-renown expert on miniature gardening and author of the two best-selling garden books on the hobby, Gardening in Miniature: Create Your Own Tiny Living World and the brand new Gardening in Miniature Prop Shop: Handmade Accessories for Your Tiny Living World, by Timber Press. 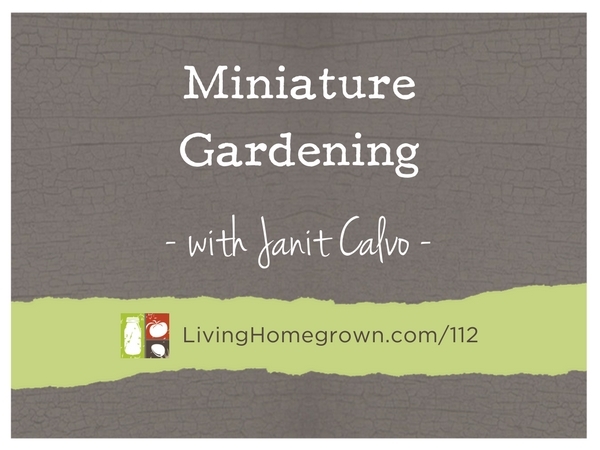 Since 2001, Janit has been teaching and spreading the joy of gardening in miniature to enthusiasts from around the globe through her newsletter, The Mini Garden Gazette, and her websites, Two Green Thumbs and Miniature Garden as well as all major social media channels. Janit is also the founder of the Miniature Garden Society, a focused group of like-minded miniature gardeners from around the world that love to dig deeper into the hobby and do community outreaches, at Miniature Garden Society. Janit has won many garden and miniature awards throughout the years from the Seattle Miniature Show, including several Best of Show ribbons, and and the Horticulture Garden Art Show including Best of Show and Most Original Display. 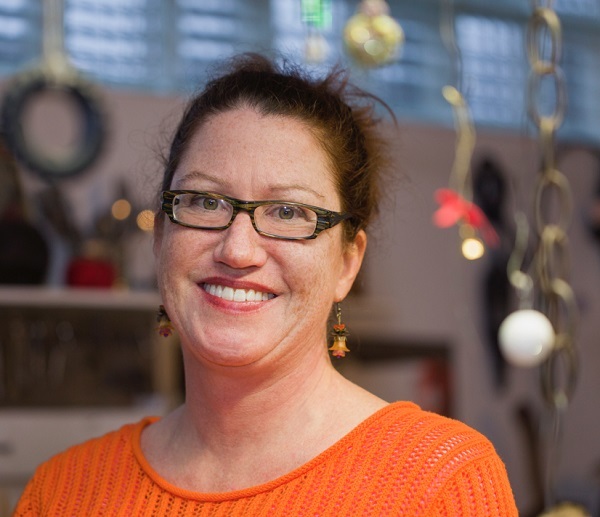 She has demonstrated miniature gardening to thousands at the top garden shows throughout the country and the Epcot Flower and Garden Festival at Disney World throughout the years. Get a Special Discount on Miniature Garden Purchases! Janit has graciously offered a 20% discount to any listener you makes a purchase at her Miniature Garden Center site. This can be for mini-garden accessories, pathway kits, holiday decorations etc. The discount offer is valid from August 25-September 25. (Update: We are so sorry to say that this coupon code expired on September 25th, 2017). Just type the word HOMEGROWN as your coupon code at check out. i feel SO inspired by this episode! i am now to create a tiny garden inside my flat, right where the sun shines through the window in the kitchen:))) thanks SO much for your wonderful podcast!